Harmony Rescue has cared for over 3486 animals since 2004. Our vision is to provide a harmonizing environment for animals and humans to interact, to support the continued mission of other non-profit animal organizations enabling a “no kill” philosophy, and to enhance a culture of unconditional love for animals. The mission of Harmony Rescue is to create and manage a safe haven environment for domestic animals needing extra care, and to serve as an extension of other non-profit animal organizations promoting the prevention of cruelty to animals. We pursue this mission through the development of services, facilities, education, and projects. Thank you for making this year's Harmony Rescue Raffle a success! Our raffle this year is to benefit our medical expenses fund which is used for medical care, vaccines, and spay/neuter expenses. Please click on the title to view the list of our generous sponsors and daily winners. Thank you again to all who participated in our annual event! Understanding our history, founders, and staff is the best way to foster an interest and get involved with Harmony Rescue. The animals are the basis of our organization. 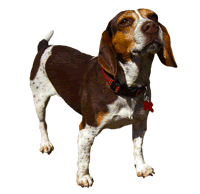 Find out more about adoptable pets,​ sponsoring animals, rescue/transports, and rehoming a pet. 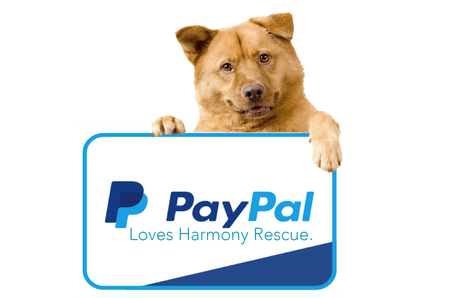 Learn how you can support our mission at Harmony Rescue. More information on the numerous ways you can support us – including donations, charitable giving, and sponsorship. Volunteers are the backbone of our organization. The assistance of the community and our volunteers enable us to help more animals. The Community Animal Care Services is our signature program to help pet owners with supplies, spay/neuter, and medical care for their pets. Handy information about local animal control agencies and rescues, local vets and emergency clinics, boarding, and other valuable information all in one place.